A volume in Quantitative Methods in Education and the Behavioral Sciences: Issues, Research, and Teaching Series Editor Ron Serlin, University of Wisconsin (sponsored by the Educational Statisticians, SIG) Multilevel Modeling of Educational Data, co-edited by Ann A. O'Connell, Ed.D., and D. Betsy McCoach, Ph.D., is the next volume in the series: Quantitative Methods in Education and the Behavioral Sciences: Issues, Research and Teaching (Information Age Publishing), sponsored by the Educational Statisticians' Special Interest Group (Ed-Stat SIG) of the American Educational Research Association. The use of multilevel analyses to examine effects of groups or contexts on individual outcomes has burgeoned over the past few decades. Multilevel modeling techniques allow educational researchers to more appropriately model data that occur within multiple hierarchies (i.e.- the classroom, the school, and/or the district). Examples of multilevel research problems involving schools include establishing trajectories of academic achievement for children within diverse classrooms or schools or studying school-level characteristics on the incidence of bullying.Multilevel models provide an improvement over traditional single-level approaches to working with clustered or hierarchical data; however, multilevel data present complex and interesting methodological challenges for the applied education research community. In keeping with the pedagogical focus for this book series, the papers this volume emphasize applications of multilevel models using educational data, with chapter topics ranging from basic to advanced. This book represents a comprehensive and instructional resource text on multilevel modeling for quantitative researchers who plan to use multilevel techniques in their work, as well as for professors and students of quantitative methods courses focusing on multilevel analysis. Through the contributions of experienced researchers and teachers of multilevel modeling, this volume provides an accessible and practical treatment of methods appropriate for use in a first and/or second course in multilevel analysis. 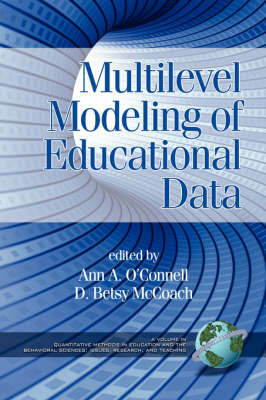 A supporting website links chapter examples to actual data, creating an opportunity for readers to reinforce their knowledge through hands-on data analysis.This book serves as a guide for designing multilevel studies and applying multilevel modeling techniques in educational and behavioral research, thus contributing to a better understanding of and solution for the challenges posed by multilevel systems and data.